Canadian guitarist Steve Cowan has performed and taught extensively throughout Canada, the United States, and Europe. 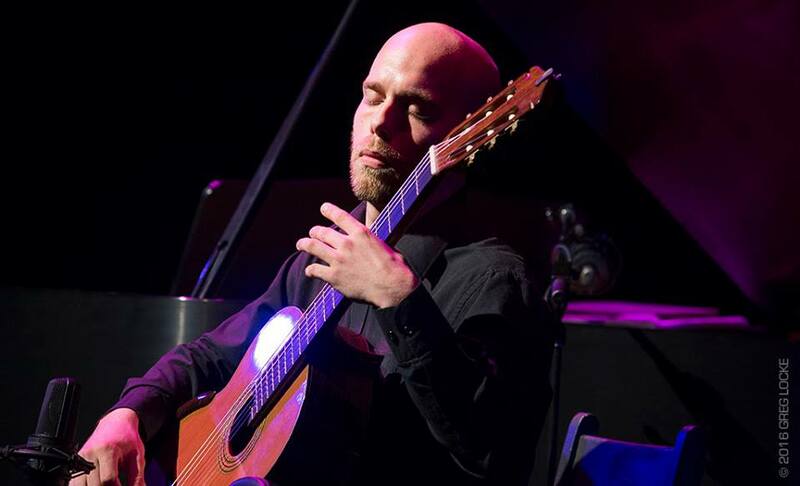 His critically-acclaimed debut album, Pour guitare, features exclusively Canadian music and has helped to establish him as “one of Canada’s top contemporary classical guitarists” (Classical Guitar Magazine). He has commissioned several new works for guitar and given world premieres in major cities such as Paris, Toronto, and New York. The 2018-2019 season will include Steve’s orchestral debut as a soloist with Ensemble del Arte in Germany, a duo tour of the Atlantic provinces with guitarist Adam Cicchillitti, and the release of a new album with the EMEC discos label in Madrid. The album will feature lesser-known 20th century repertoire as well as the premiere recording of Arctic Sonata by Gulli Björnsson, which was premiered by Steve at the Toronto Guitar Weekend in 2016. Steve has won awards at 9 major national and international performance competitions, 7 of which are first prizes. A distinguished teacher, he has given public masterclasses at the University of Victoria, McMaster University, Conservatorium van Amsterdam, the Royal Danish Academy of Music, and more. Steve is originally from St. John’s, Newfoundland, and holds degrees from Memorial University, the Manhattan School of Music, and is currently pursuing Doctoral studies at McGill University in Montréal. His former teachers include Sylvie Proulx, David Leisner, and Jérôme Ducharme. Steve plays on a 2010 Bruno Boutin guitar.